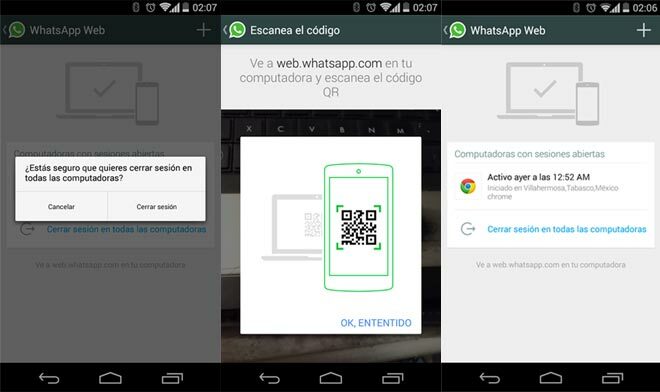 Alleged screenshots hinting of an upcoming WhatsApp web client have surfaced. Shared on Google+ and shortly removed, the post shows WhatsApp settings screen prompting to pair with a web browser and a trusted computer for a secure connection. The web client itself hasn’t leaked yet. Sadly, there’s no further information when we can expect WhatsApp to expand beyond smartphones. The company provides one of the most popular messaging services worldwide and by the end of August, 2014 reported 600 million monthly active users. Recently, WhatsApp introduced end-to-end encryption on Android and the latest rumor is that it will soon offer voice calls. This puts WhatsApp in a direct rivalry with the likes of Viber and Skype. It’ll be interesting to see where the competition among these messaging services will take the segment.